We are fortunate to broadcast a wonderful program, focusing on the philanthropic side of the Lyme disease situation. Tick Borne Disease Alliance based in New York City, merged with Staci Grodin’s ‘Turn the Corner’ foundation as a less factional and more cohesive body now, with a very big mission. Joining us too, on his weekly ‘check-in’ is Lyme recoveree John Donnally, cycling across America on the ‘Bite Back For A Cure’ campaign with TBDA, working to raise Lyme disease awareness. “In order to overcome Lyme and be well, it is vital to use the power of our mind-body healing power. You must BELIEVE in your vibrant future. You must SEE yourself there. Belief is a powerful energy. It triggers the brain to create healthy, feel good neuro-transmitters, which it turn jump start the immune system. BELIEF is something we can each instill. YOU can set a healing intention of your own. You can set an image of yourself in your mind’s eye that is strong and vital and glowing. I did this when I was wrecked, 5 years trapped at home, trembling on my living room sofa, in despair and too weak to walk without help. My doctor said my nervous system was so fragile that in older days he would have hospitalized me on tranquilizers for repair. Instead, he had me mimic the rest cure in my home. It was an isolating, cavernous time for me. But, receiving a Lyme diagnosis after 5 years of prominent New England doctors and hospitals telling me nothing was wrong with me other than chronic fatigue syndrome and migraines, I actually felt HOPE. Receiving the Lyme diagnosis gave me hope, because I BELIEVED I could overcome a bacterial infection. That belief gave me power. That power gave me a mission. That mission made me work hard on my commitment. And, I learned how to use the mind-body healing pathway. In those months daily, I visualized myself as strong, vital, radiant and healthy, spreading my arms high and wide like a grand copper beech tree. And, Here I stand before you, 8 years later, healthy, whole and that very image I willed myself to be. No more Lyme disease, no more chronic fatigue syndrome and I am impassioned to help change the future. To change the future of this Lyme disease atrocity. To help us all use our collective intention to bring healing for all. Right now here today, in addition, I utter a plea—May this illness be stopped! May the people in power start to listen. Your voices, your tireless efforts, your willingness to leave your homes, and many of you on limited resources, find your way here to Freedom Plaza is an outpouring of passion, of intention, of commitment, of belief! I applaud every brave spirit here today. Your will is mighty, your heart is powerful and together we are creating a groundswell. Our history, our collective story, our understanding of what Lyme disease looks like and feels like, moves us to take risk, to speak the truth and to manifest a change. We will amend the suffering, the denial, the crooked thinking. I believe in the power of the mind, the calling of our heart, and the mighty force of our will. When we can draw on these inner resources well then we can move mountains. We can affect change. We can heal ourselves, others, the planet. If we can all focus together, aligning our hearts and minds in a common energy, then that unified force gains power and momentum. I believe we can change the future of Lyme disease. I feel the awareness shifting, the call of hundreds of thousands of voices in dire need, pleading for help. I am honored to be a voice for others, to push the envelope, to shift the tides regarding this illness. And, I need us to all bind together. In my final moments with you now, I would like to set a healing intention. A healing intention for the Lyme community, as well as each of you individually. Let us take a moment together. Close your eyes if it helps you to center. Put your hand over your heart. In your mind’s eye see yourself as powerful and strong. Now, drop your awareness from your mind, down into your heart. Feel its steady, knowing presence. It is from our hearts that we heal. Now we bind our mind, our heart and willpower with an intention. I believe in a healthy future for myself, for my loved ones and those who suffer with Lyme disease. I trust that the right people, resources and energies will align to arrest this epidemic. With my own personal will and intention I move forward into a happier, healthier, Lyme-free tomorrow. May each and every one of us be guided and protected today and always. It is with true pleasure I introduce to you my wonderful new website and an amazing opportunity for all. Welcome to “Lyme-Light Radio with Katina”, a weekly radio talk show devoted to Lyme disease, in a host, guest, call-in format. Filled with information and inspiration, we aim to educate worldwide listeners on a diversity of Lyme-related topics. This is a timely show, and we are seeking sponsorship to launch by June, 2013. 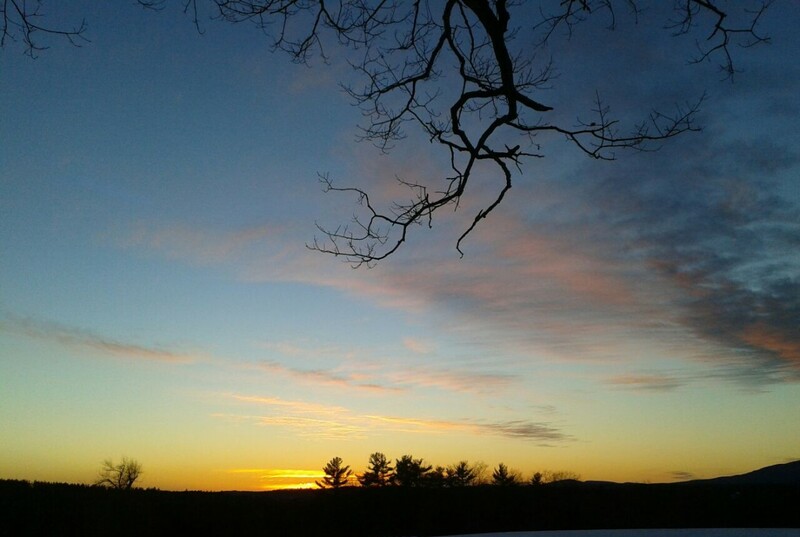 Broadcast from Transformative Talk Radio’s flagship station, WBLQ 1230 AM, Westerly, RI, in the heart of Lyme country, we will reach 700,000 listeners in winter and 1,500,000 in summer throughout southern New England and New York, plus access to a 300 station syndicate expanded to major US cities, Australia and Europe, leveraging our audience into the multi-millions. In partnership with The Dr. Pat Show, five years voted #1 most listened to network, “Lyme-Light Radio with Katina” is a huge step forward for the Lyme disease community, enabling us to expand global awareness through the very viable medium of talk radio, on a dynamic network. 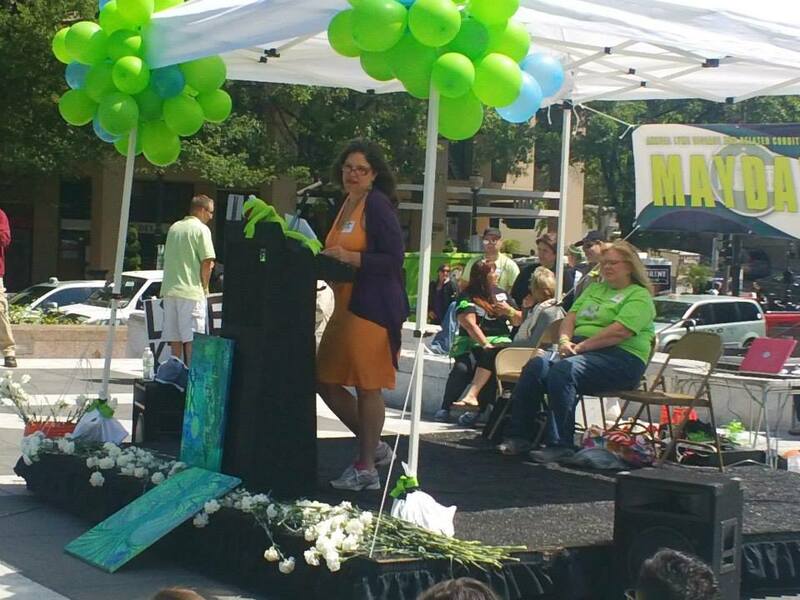 As a recoveree of a ten-year chronic Lyme disease journey, I am honored to be your host. Selected by Dr. Pat Baccili for my avid Lyme disease education work, best selling, award winning book “Out of the Woods; Healing Lyme Disease Body, Mind & Spirit” and 28 years experience as a natural healthcare practitioner, my goal is to help end the suffering and confusion surrounding Lyme disease and associated conditions. But, we need your financial sponsorship to make this promising radio show happen. Please contact me abou the media kit and information on Transformative Talk Radio, our broadcast outlets and syndicates, and the specifics of the “Lyme-Light Radio” show. The sponsorship kit expounds upon pricing for yearly, six month, or single show options. Commercial airtime, website banners, on-air interviews and more are all possible, helping you promote your service, product or message. Of course we welcome donors who value the nature of this program yet have no desire to have commercial or interview airtime. This is a most exciting opportunity for all of us. Please join forces with me and let us change the future! PHENOMENAL NEWS!!!!! I have been invited to host a live call-in weekly radio talk show on LYME DISEASE and associated conditions! This is a breakthrough opportunity for the Lyme community, as I can have an array of guests; doctors, patients, caretakers, researchers, advocates, authors, healers, more, and ALL of you can call in with questions to be answered. It will air live on WBLQ 1230AM station in RI, CT, Long Island, Block Island, Cape Cod, Marthas Vineyard, parts of NY—— the ‘bulls eye’ of Lyme really! Plus be syndicated to 300 stations around the globe; Boston, Seattle, Australia, Europe and streaming live on the web. There is an itunes link and shows will be archived in podcast format. I can interview guests from around the world via skype! I need to raise $$$ for sponsorship though. If I can get it by May 31, we will launch the program in June. CAN YOU BELIEVE this amazing opportunity for all of us? Lyme will be really talked about, heard and shared, loud and clear. We will start the sponsorship campaign the last week of March. We can take small donations toward the ‘Lyme collective’ sponsorship fund and of course larger sponsors who will get commercial air time repeated often, interview on air, new releases, etc. LETS MAKE THIS HAPPEN! Together we are powerful! United we can change the world. Voted #1 For 5 Years Running Favorite Network and most listened to time! The release of the report, originally scheduled for release in October, 2012, has stalled. Katina Makris, CCH, CIH is a Lyme survivor, a classical Homeopath and is the author of “Out Of The Woods, Healing Lyme Disease, Body Mind & Spirit”[ Manchester, NH January 8, 2013 ] The Massachusetts Lyme Disease Commission was created by the Massachusetts State Legislature in April of 2011. The Lyme Disease Commission’s charge was to develop a report to help combat Lyme Disease, including options in regards to screening programs, the improvement of preventative measures and to explore the value of public health screening measures. The release of the report has been delayed as the result of numerous technical issues. Makris believes it is imperative that Massachusetts and other affected states take action as soon as possible.“The Lyme disease situation in Massachusetts is yet another red ‘dashboard’ light screaming for action alert regarding this exploding infectious illness. Many medical authorities consider Lyme disease to be the polio of the twenty first century, as it has now surpassed HIV in how quickly it is spreading” says Katina Makris, Lyme survivor and author of “Out of The Woods; Healing Lyme Disease, Body, Mind & Spirit”. Massachusetts is a severely affected state, but so are over a couple dozen more. Lyme disease is showing up all over the US actually, with migratory birds transporting Lyme infected ticks everywhere; Florida, Louisiana, Texas and Montana included. “Massachusetts advocates are urging for the correct measures, which all states should adopt – school prevention steps, doctor diagnostic training and funds for Lyme Disease treatment research,” Makris agrees. With tens of thousands of cases of Lyme contracted annually and thousands more undiagnosed or mistreated, Lyme disease is leaving masses of people in progressive states of illness, collapse and financial ruin. Assorted conditions, such as rheumatoid arthritis, migraines, Fibromyalgia, even Parkinson’s could be misdiagnosed Lyme. Makris is no stranger to Lyme, being a survivor of the disease. Her book, “Out Of The Woods”, is the captivating story of her carefully cultivated life unraveling from an misdiagnosed case of Lyme disease. At the peak of her career, with a young family happily ensconced in rural New England, a mysterious ‘flu’ ransacked Katina’s life and future with unsuspecting consequences. Her ten-year journey, two completely bedridden, out of darkness into the light of living is one of profound lessons and unexpected discoveries. A healing passage of transformative personal change and ultimately one of unheralded spiritual awakening, “Out of The Woods” stretches across the borders of any one illness to all whom are grappling with the uncertainties and seismic quakes of chronic illness. Tending to the emotional and spiritual wounds of Lyme disease is just as critical as killing the bacterial invasion. “Out of The Woods” offers guidance and suggestions of how to heal at these levels, as not everyone knows how to mend a broken spirit. It is an inspirational healing story of rebirth and the power of hope. Katina I. Makris is available for media interviews and can be reached using the information below or by email at katina.makris@comcast.net. “Out Of The Woods” is available at her website, Amazon, Barnes and Noble and Indie Bound. More information is available at her website athttp://www.OutOfTheWoodsBook.com. Katina I. Makris, CCH, CIH has worked in natural health care for since 1983, with a busy Homeopathic private practice, as well as being a popular newspaper health columnist. She sat on on the board of The Council for Homeopathic Certification for seven years. Katina has taught homeopathic and now Lyme disease classes. 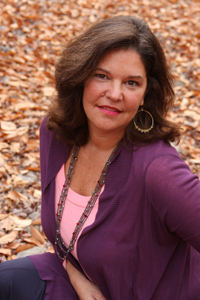 She is also a Certified Intuitive Healer, focusing her current work on healing the spirit as well as the body. 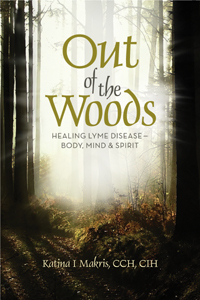 Katina is on a nationwide book tour with “Out of the Woods”, promoting Lyme disease awareness and inspirational guidance on recovery. She is appreciated for her wealth of experience and dynamic communication skills.